Pink chiffon wrap dress featuring a red floral pattern. Ruffle along hem. 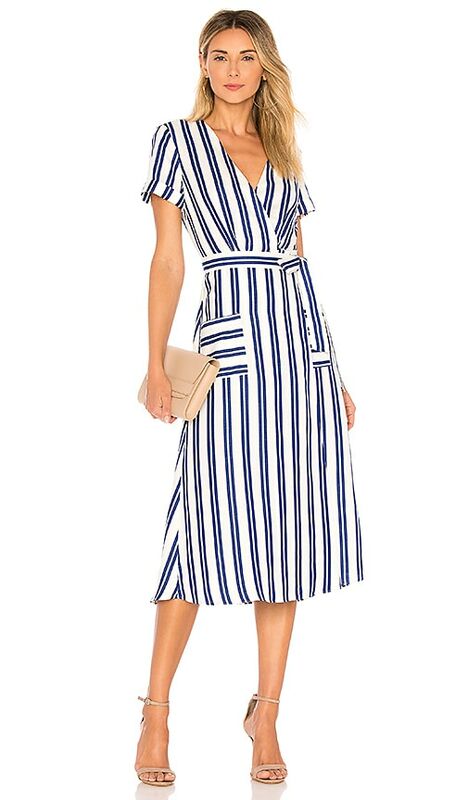 Pair this perfect Spring dress with heels or flats. Fully lined.